SEASONAL BEACHSIDE RENTAL. Long beach views from this sunny and bright beachside 2nd floor condo only steps to the beach! 2-bedroom, 2-bath turnkey furnished unit with lovely Gulf views from kitchen, dining room, living room and master bedroom. Eat-in kitchen and washer/dryer in unit, flat screen cable TV and WiFi available, carport parking, elevator access. No pets. Beach Harbor Club is a boating and beach community located on beautiful Longboat Key, Florida and consists of 133 condominium units on 5.3 acres with beach and bay access. Amenities include: Private beach access, community kayaks, updated clubhouse (which includes a catering kitchen and bar), state-of-the-art fitness center, heated oversized pool, library and woodworking shop. Beach Harbor Club also hosts many social activities. 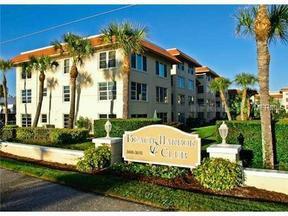 Close to Sarasota and St. Armand's Circle with restaurants and shopping. Make this your island get-away today!